Transforming a home into a glamorous living space is a difficult task but it can be made easy. All you need is stylish home curtains that can change the perspective of the onlookers. This is possible with vibrant colors and exotic design, which can leave a new impression on your doors and windows. A complete home can bring happiness to you and your family as well. Therefore, a good looking curtain is necessary for your home. The first thing you see in a curtain is its color combination. Some people desire bright color and some dark. All these depend on the style and aesthetic sense of a person. With matching colors and prints, you can achieve the look you want. Warm shades of red, yellow and pink are known to create a pleasant and calm ambiance while cool colors like white, blue and gray more into imparting a soft look. If you desire an earthy tone, green and brown would be the right choice. There are a million colors from where you can choose from. Imagine the look with the colors of your choice and bestow in on your windows. The key in picking the right color of curtains depends on how well your doors and windows will appear. When you have the right choice of color in your mind, you can focus on the length of the curtain. You can avail the length of curtain according to your doors and windows, but if you want to add some uniqueness, you can always customize them. As concluded by experts, longer curtains can visually lengthen the windows. It also adds perceived height which can give the impression of a high ceiling. It is also considered that curtains that drop down to touch the floor gives a formal touch and shorter curtains impart a casual appearance. Short curtains are mostly draped on windows in kitchens and bathrooms. Some people also focus on the amount of light dispersed through the curtains. Most homes have a bright look but some desire to stay in a dim atmosphere, which only blackout curtains can offer. You can get the choice of the atmosphere by using the precise thickness of curtains. Curtains with laces and sheers are perfect for a conveying light around your home. It gives a wonderful effect with shadows and light. These curtains are mainly draped for privacy purposes. Therefore many require curtains that a translucent in texture. The designs and patterns always determine the final appearance. It can either give a modern, traditional, floral or plain look. 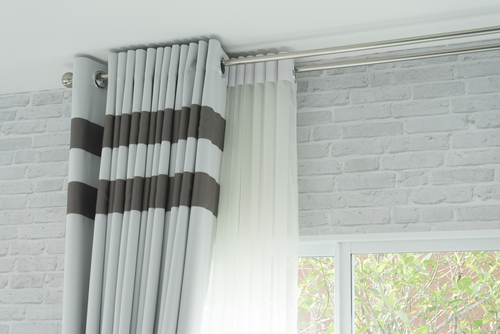 Modern curtains can give a vibrant image and are mostly printed in stripes and complex designs with excellent color combinations. Traditional prints contain ethnic design and arabesque patterns which describe an old concept. You can organize your home in the way you desire. The use of curtains in the interior decoration of our houses has spanned through a long period immemorial. Curtains are very beautiful, and they help to add a lot of beauty to the interior design of the house in question. However, if a curtain gets bad or dirty, it can end up being a very sorry sight. This article would help provide tips you can apply to help you maintain and clean your curtain. First, I would provide reasons as to how curtains get dirty then I would provide means of keeping your curtains clean and presentable. There are numerous reasons for curtains getting dirty and hideous. Thus, it intercepts any dust coming from outside to inside. Secondly, even though the windows are closed, dirt can filter into the room through air spaces. As long as there are spaces for air to pass through, dust can also pass through. This can, in turn, provide avenues for dust settling on your curtains. 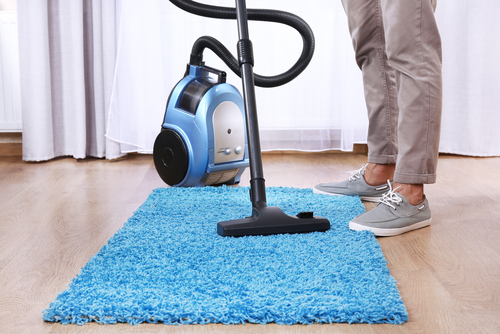 Thirdly, when the house is vacuumed or dusted, the dust being cleaned can settle on the curtains. Overtime, this settling of dust can make the curtain get dirty. I have discussed ways curtains could get dirty above. I would now proceed to provide tips you can apply to maintain your curtains. 1. Dusting and vacuuming your curtain regularly: The curtains can be dusted and vacuumed on a regular basis. This could be done along with regular house cleaning activities. The curtains can be dusted using equipment like a feather duster, dusting cloth, damp clothing, dusting equipment attached to the vacuum, etc. 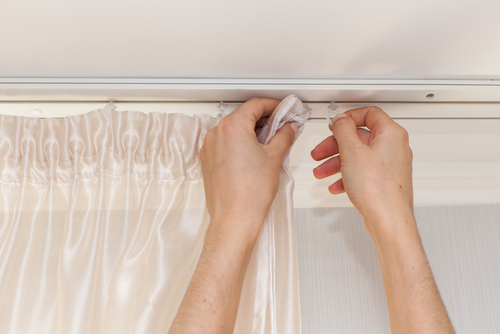 When dusting the curtain, it should be from top to bottom so that dirt cleaned from the top would go to the bottom. Also, both sides of the curtains should be dusted as dirt equally settles on both sides of the curtain. 2. Steam your curtain occasionally: Your curtain can also be steam cleaned occasionally. There are various inexpensive steam cleaning machines available. If on the curtain description, it can be washed with a machine, then it can be steam cleaned. When steam cleaning, the windows should be closed so that dirt would not be attracted to the curtain. Also, the house should not be dusted in the immediate period after steam cleaning. Therefore, curtain cleaning has to e did the most professional way giving the right kind of treatment and applying the appropriate treatment depending on the kind of material it features and also the type of ornamentations it wears. This fact justifies that you entrust the curtain cleaning task to a professional company like us who can take care of it to the best of your expectations and see to that the complete process happens the most hassle free way when you just sit back and watch how professionally we handle the task. If you had got your curtains cleaned quite some time back, then it is the right time that you get them cleaned. Curtains might invite a lot of dirt and germs over a period and be leaving them as they can carry the risk of allergic reactions to the inmates. Therefore, never hesitate to get them cleaned so that they look neat and great. Once the job is accomplished the professional way, the curtains shall smell highly fragrant carrying a fresh look. With your curtain cleaning requirement, you just have to call our support desk. Once we give you the details of how we shall accomplish the job, out professionals shall visit your home or office at a convenient hour. You will find them highly courteous and professional in their dealings and approach. They shall get the curtains removed and shall carry them to our outlet. The curtain shall be cleaned employing the appropriate technique suitable for the fabric and the kind of ornamentations it wears. Once cleaned, they shall be brought back and hung in their respective places once again. Thus, you will experience a high degree of professionalism with which the task is accomplished from our end. The curtains shall look as they looked the first time you hung them. We always exercise great care in handling the job of all our customers and that is where we stand apart from the rest of the cleaners.